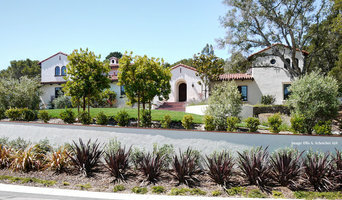 Bay Area Architect & Design Firm - Best of Houzz! 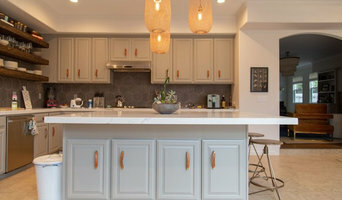 Whether you want to take advantage of an extraordinary view, revitalize a kitchen or a bathroom, bring in more sunlight, or add a floor or a large addition, repair your roof or tear it down and replace it completely, a Superb Builders remodel can transform your life and your living space from the ordinary to the extraordinary and turn your home into the home of your dreams! Argos Construction has a 15 year record of excellence in new construction projects, managing multiple construction, designing and remodeling projects in San Francisco and the Bay Area. Throughout the years, we kept working hard, showing top-notch results and gaining customer trust, which is why we have stayed in business during the hardest of times. Argos Construction continues to steadily grown and builds a strong local reputation for quality, reliability and integrity. Please feel free to contact me at (415) 926 - 1299 or via email at argosconstruction1@gmail.com. Ryan & Ryan Construction is a family owned full service general contracting firm that serves residential and commercial clients. Our company can handle renovation of all sizes, from cosmetic kitchen and bathroom remodels to insurance- related construction work and complete structural overhauls. We are also exterior repair and remodel specialists. We are partners with our industries top siding and window manufactures, James Hardie and Pella Windows. What can you expect from us? Quality products and installation, clear communication and a clean organized project. Give us a call or message today to learn how to partner with you on your next project! At Bay Remodels we are not just another general contracting company, we are a team of experienced builders and contractors of all trades that specialize in residential and commercial construction. With over 35 years of combined general construction experience we’ve gathered a team of highly experienced professionals of each trade who work hard to be adaptive and flexible to satisfy all of our client’s needs. 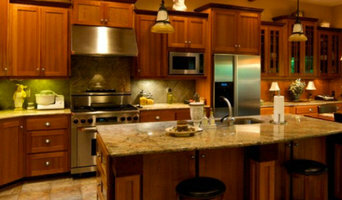 From a small bathroom remodel to a large house or an office space we do it all. What makes us unique is our customized approach to each individual project based on a plan that works best for you. From obtaining building permits to ordering final inspections we make your construction a headache free process. With our team of experienced engineers, architects, contractors, and masters of all trades working under one roof we make sure to provide you with the best quality of work that will make you amazed. Please see our gallery and feel free to give us a call to find out what we can do for you. Founded in San Francisco in 1980, Gast Architects is an eleven-person, service-oriented practice specializing in custom residential homes and renovations, including the sensitive restoration and adaptation of historic properties. We offer comprehensive architectural services and take pride in the close working relationships we develop with our clients in responding to their needs, taste, budget and schedule, while maintaining architectural design excellence. Sustainable design strategies are integral to the design process, and several on our team are experienced LEED Accredited Professionals. Our projects range in scope from the development of large country properties and inner city whole house renovations to more modest additions to and remodeling of existing housing in styles from warm modern to traditional. We enjoy, and are skilled at, working with the limitations and opportunities inherent in renovating or adding to existing structures. Our long-term relationships with contractors, craftspeople and consultants strengthen the trust and effective team communication necessary for producing superior results. Having practiced in the Bay Area for decades, we know the local Planning and Building agencies and their staffs, and how to work with them to secure code interpretations before problems arise. We have represented our clients successfully before commissions, design review panels and appeal boards, and are adept at moving our projects through the approvals maze. Pivott Construction & Design, Inc.